Ready to compare cards? Look below for our top ones. Low foreign exchange fee. If you jet-set overseas with a standard credit card in your pocket, which isn’t designed for travel, you may get stung by a foreign exchange fee between 3-5% on every purchase you make. This can add up when you have everything from tours to shopping trips to pay for. The good news is there are a range of credit cards out there designed specifically for wanderlust shoppers with low foreign exchange fees or none at all. Earn bonus points on your overseas spend. Did you know, that with some travel rewards cards, you can actually earn more points overseas compared to back home for the same dollar spend? As an example, you might receive one point per dollar spent in Australia, but for any purchases you make abroad the points you earn are doubled. So if you’re planning to snap up a luxury handbag in Paris, just imagine how many points you could have by the time you return home! Free flights. Some of the most competitive travel rewards cards even come with complimentary yearly flight offers. For instance, at the time of writing one card was offering a free domestic flight each year with Virgin, and all you had to do was spend $500 on the card in the first five months. Complimentary features. To top things off, your credit card may also come with a range of free features like travel insurance, concierge and purchase protection. Just keep in mind, for the free travel insurance to kick in, you may need to spend a certain amount or purchase your flights with the card. The cash advance rate. 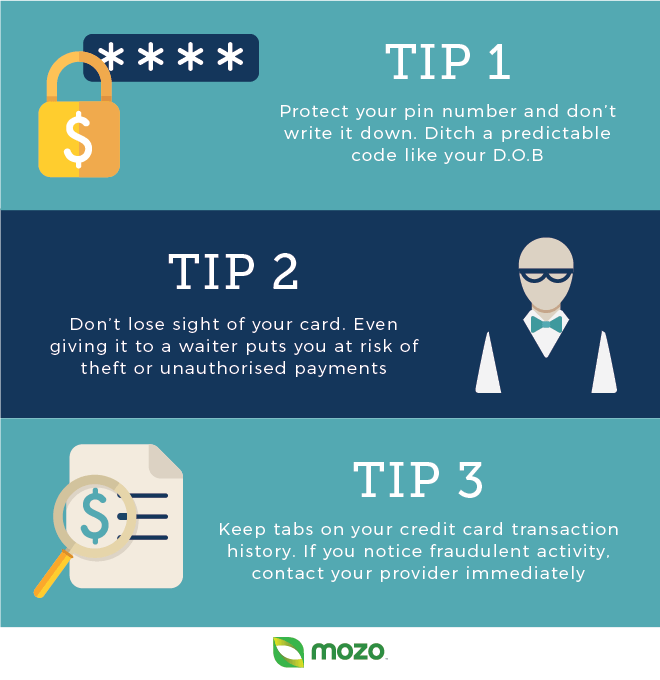 Ever been tempted to withdraw cash from an ATM using your credit card? Avoid this trap at all costs, as the majority of providers charge a pretty penny for it, and interest free days don’t apply to cash advances. So if you really want to get your hands on cash overseas, make sure you also bring a travel money option for low cost withdrawals like a prepaid travel card with low or no ATM fees, or use a travel-friendly debit card. Spending more than you can repay. Even though rewards cards can help you enjoy your holiday, splashing out on purchases you won’t be able to repay before the due date will mean you’ll not only be stung with interest, but have to pay a late payment fee too. 1. Low or zero foreign exchange fees: As mentioned above, search for a card with competitive FX fees, or a provider that charges none at all to get the best bang for your buck. As a travel lover, there’s no point in selecting a rewards card that charges you an arm and leg for paying in another currency! 2. Low annual fees: Most rewards credit cards require that cardholders pay annual fees to keep their accounts open, but how much is too much? While minimal yearly costs are a plus, weighing up what you’ll receive in return will help you gauge a fair price. Mozo has a rewards revealer tool that will show you the top value cards based on your spend. 3. Global access: It’s useful to choose a card that is widely accepted around the world, such as a product powered by VISA, MasterCard or American Express. 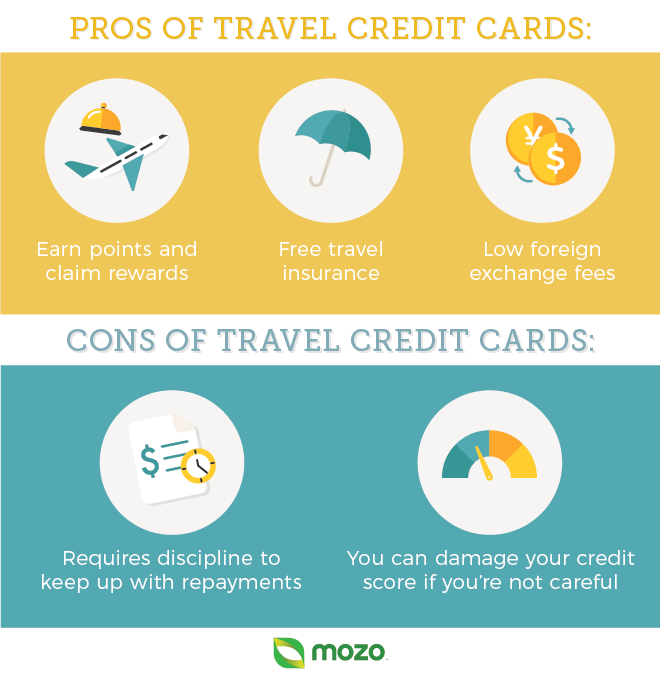 If you go for a lesser known card, keep a travel money backup in your wallet to avoid getting stuck overseas. 4. Generous interest free days: Interest free days vary between providers, but you’ll generally find they range from 44 to 55 days. The more time you have to pay your credit card bills before the purchase rate kicks in, the better. If your due date rolls in while you’re on holiday, make sure you either set up a direct debit or hop online and pay it to avoid the bite of late payment fees. 5. High earn rates: To get the most bang for your buck make sure the card you sign up for has a high point count per dollar spent. Check if the provider offers bonus points when you spend with its partners and as mentioned previously in the guide, look for a card that gives you an incentive to shop overseas in the form of additional points per dollar spent internationally. 6. Bonus points: Having the opportunity to build your points count can be a great way to get that free flight sooner. For instance, some cards offer 50,000 to 100,000 points when you first sign up. Just keep in mind there may be spending requirements in a certain time frame. 7. Complimentary features: Freebies are a huge part of rewards credit cards, which can include access to swish airline lounges, free travel insurance and flight upgrades. Only sign up for a product offering freebies you’ll use. Quality is important too. For instance, make sure your travel insurance policy is covering you for the essentials, like unlimited medical. 8. High credit limit: If you need the wiggle room, finding a travel rewards card with a high credit limit could be the way to go. As a rule of thumb, opt for a credit limit reflecting what you can comfortably afford to pay back. What are my other travel money options while I’m overseas? Prepaid travel card: Locking your Aussie dollars into one or more currencies using a prepaid travel card, can help you plan ahead for your trip away. Another great feature about prepaid cards, is that many providers allow you to top up online while you’re away. Just make sure you avoid cards with high reload fees. You can also opt for a product with no ATM fees. Travel debit card: Another option is to use the money in your bank account. While you’ll avoid credit card interest, watch out for pricey foreign exchange fees and high overseas withdrawal costs that can come with some debit cards. Cash: Keeping a small amount of money on you is useful to help you shop when there isn’t a merchant terminal in sight. Exchange your AUD into another currency when you spot a competitive exchange rate, and never make a last minute dash to access foreign cash at an airport teller, as it will likely deduct a chunk of your funds.